As the expression goes, it’s always five o’clock somewhere, right?! 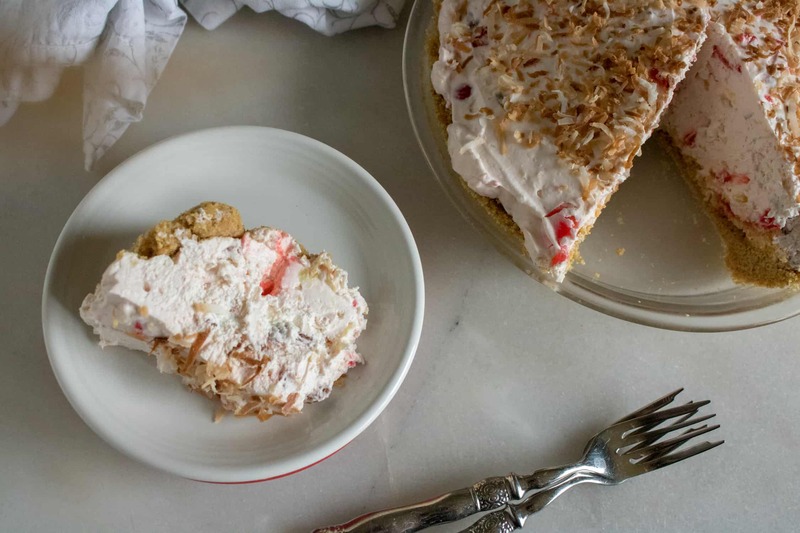 Cocktail lovers will be swept off their feet by this rich and creamy Piña Colada Pie. Traditional piña coladas are made by blending up pineapple, coconut cream, ice and rum. The very first piña colada was blended up in Puerto Rico. It’s said that Caribe Hilton bartender to the stars Ramon “Monchito” Marrero was asked to create a signature cocktail that perfectly captured the island. After months of trial and error he came up with the smooth, sweet, frothy piña colada. Joan Crawford reportedly said his signature cocktail was ‘better than slapping Bette Davis in the face.” Not a bad review. If you want to try out Monchito’s signature recipe here it is. And if you really want the full experience, why not go ahead and serve up this traditional cocktail with a slice of delicious Piña Colada Pie? It’s so easy! The only part of the pie that requires baking is the crust. And if f you’re short on time, you can buy a pre-made crust to make this pie even quicker. The one thing you do need to allow time for is setting. I recommend making this pie a day in advance so it can chill in the fridge overnight. If that’s not a possibility make it in the morning for an after dinner treat. Full of tropical flavors! 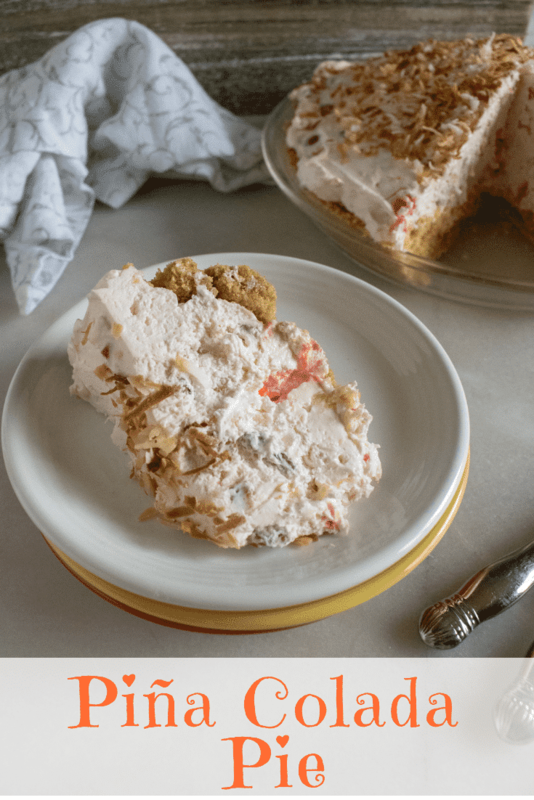 To really on the coconut the filling combines coconut cream as well as toasted coconut to add more flavor and texture. Crushed pineapple is used rather than juice or pineapple chunks. This means that you will get a hit of pineapple in every bite. 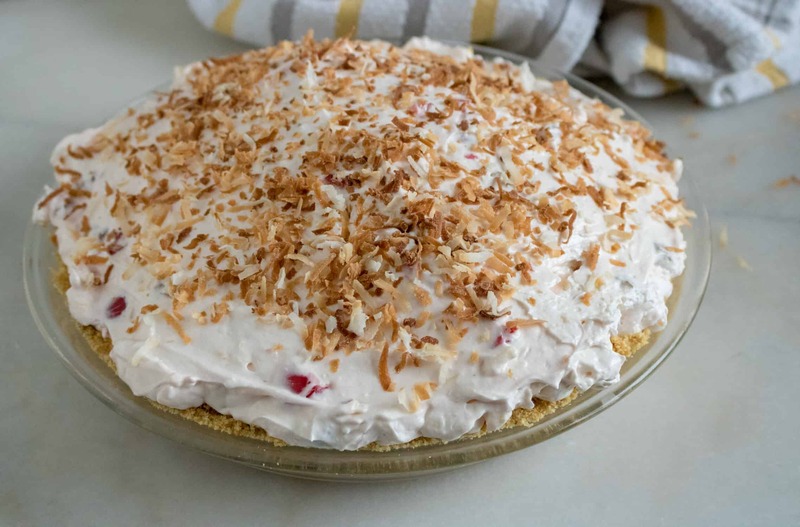 You can easily make an alcohol-free version of this Piña Colada Pie by using rum extract. 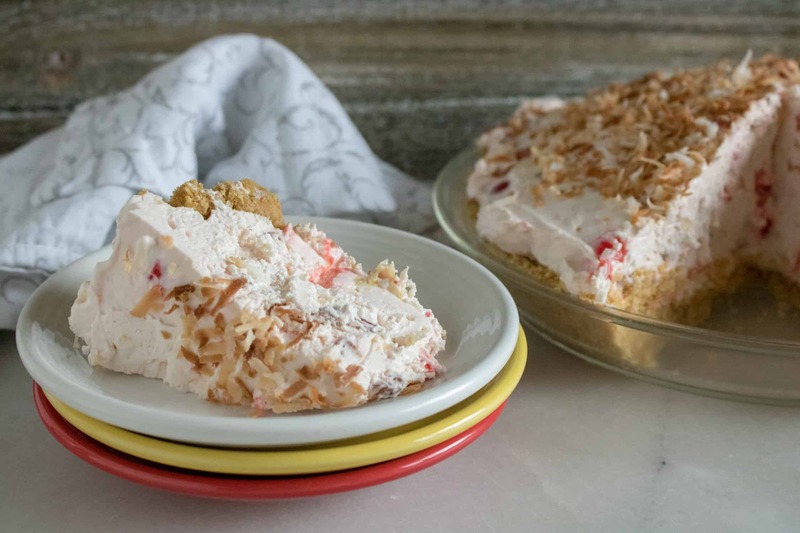 This kid-friendly version is a great way for the entire family to enjoy the tasty tropical flavor of Piña Colada Pie. Step #1: Preheat oven to 350 degrees F (175 degrees C). Step #2: Next spread coconut evenly onto a baking sheet and toast in preheated oven 5 minutes, until golden brown. Remove and set aside. Step #3: In a medium bowl, mix together vanilla wafer crumbs and melted butter or margarine. Press firmly into bottom and sides of a 9 inch pie pan. Step #4: In a large mixing bowl, beat cream cheese until fluffy. Step #5: Add coconut cream and continue to beat until fluffy. Step #6: Next, mix in the rum or rum extract and fold in whipped topping, pineapple, cherries, and nuts. Step #7: Finally, spread mixture into crust and sprinkle with toasted coconut. Step #8: Chill several hours before serving. Enjoy! Spread coconut evenly onto a baking sheet and toast in preheated oven 5 minutes, until golden brown. Remove and set aside. 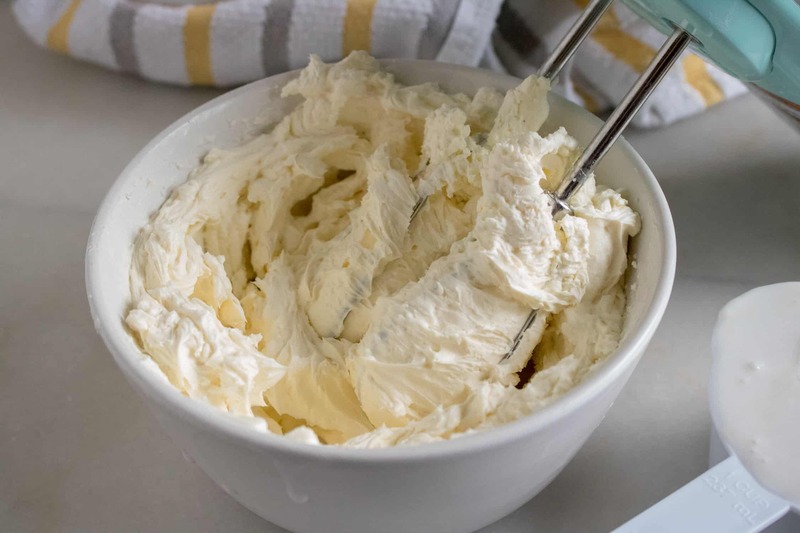 In a medium bowl, mix together vanilla wafer crumbs and melted butter or margarine. Press firmly into bottom and sides of a 9 inch pie pan. 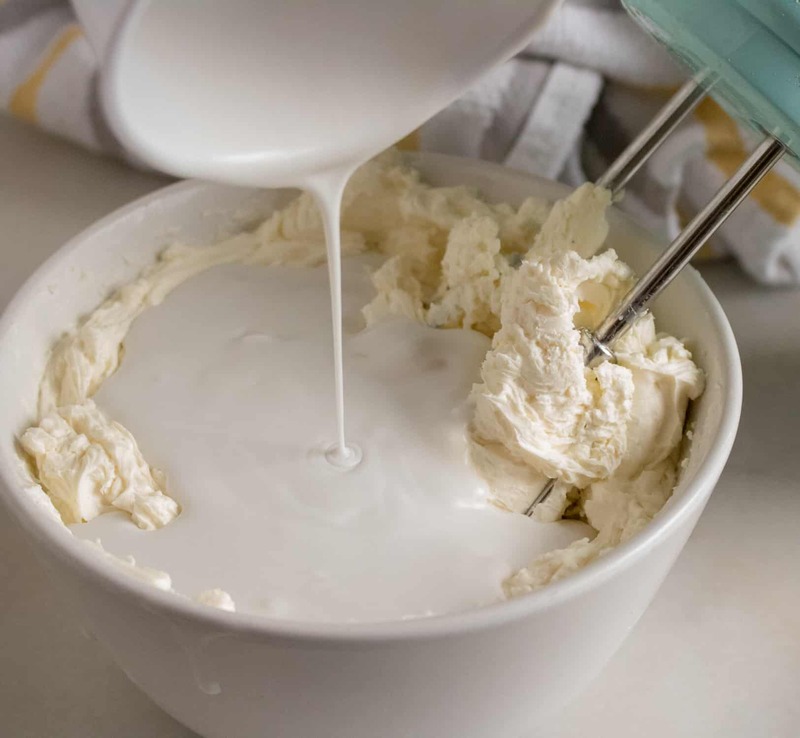 In a large mixing bowl, beat together cream cheese and coconut cream until fluffy. Mix in rum extract. 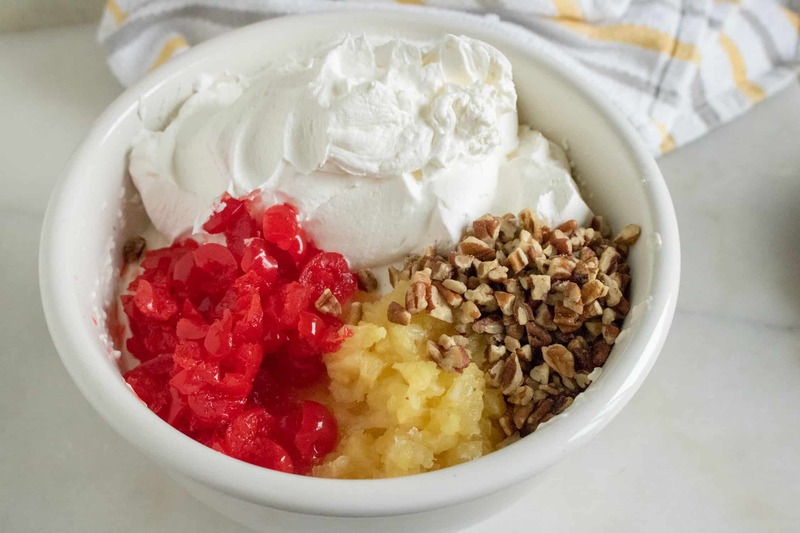 Fold in whipped topping, pineapple, cherries, and nuts. Spread mixture into crust and sprinkle with toasted coconut.